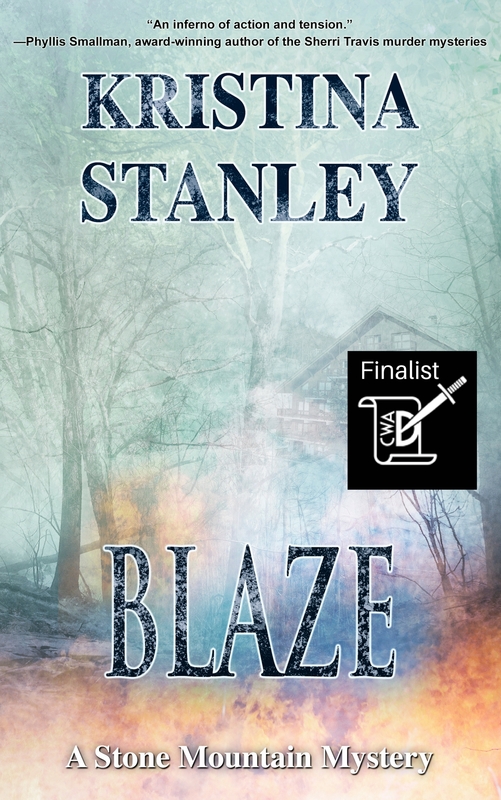 Mystery Mondays: Judy Penz Sheluk – Amateur Sleuth with an Edge. Today on Mystery Monday’s we welcome Judy Penz Sheluk. Judy will talk to us about defining a sub-genre, her book and herself. Defining your sub-genre. It’s the sort of thing newbie authors don’t really think about when they start writing a book. Oh, we know we’re writing a mystery or romance or sci-fi, but beyond that, it’s more about getting the words down than anything else. And then, one day, after months of hard work, editing, revision and more revision, that book is finally ready to send out into the cold, cruel world. That means writing a compelling query letter pitching the book to agents and publishers in the hopes they might be interested. This process is not for the faint of heart; consider that Kathryn Stockett’s The Help was rejected 61 times before someone finally took a chance on her (read the interview here). The key then, is to make your query stand out. It also means that the author has to define not just the genre (i.e. romance) but the sub-genre (paranormal romance). When I started pitching The Hanged Man’s Noose to publishers, I defined it as “Amateur Sleuth,” which is often referred to as a “Cozy Mystery.” After all, I had an amateur sleuth (my protagonist, Emily Garland, is a freelance journalist), I had a sidekick (Emily’s friend, Arabella Carpenter, owns an antiques shop), I had a small town (Lount’s Landing, a fictional town about ninety minutes north of Toronto), and the murders take place off screen (meaning no overt violence). It wasn’t until I sent the manuscript to a publisher of traditional cozy mysteries that I discovered I hadn’t quite nailed it. I searched the publisher’s catalogue and saw what they meant. Every cover had a cat or a dog, an idyllic town with white picket fences. Many of the books included a recipe or instructions on how to make some sort of craft. My book didn’t have any of those things. 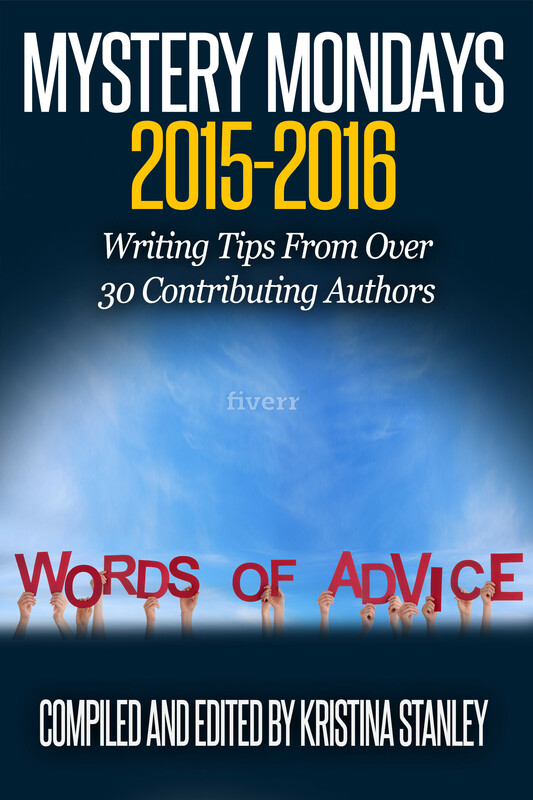 I took the publisher’s advice and discovered Barking Rain Press shortly thereafter. 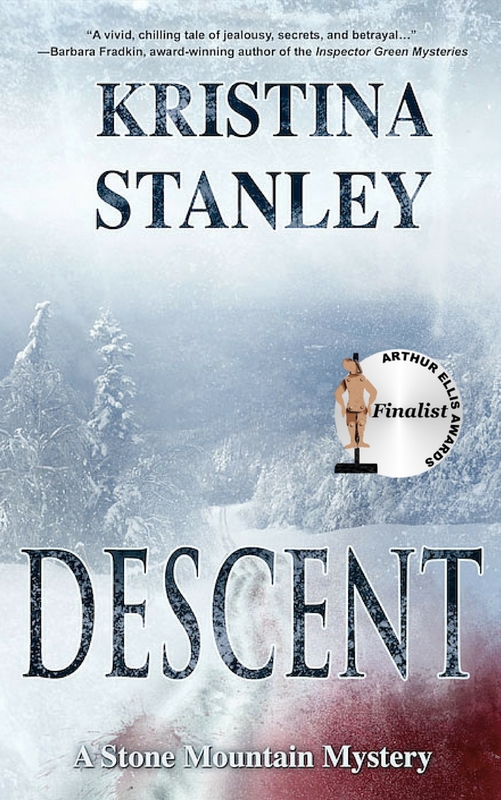 I redefined The Hanged Man’s Noose as “Amateur Sleuth with an Edge,” followed their submission guidelines, and signed a contract in July 2014, for publication in July 2015. I’ve been pinching myself ever since. 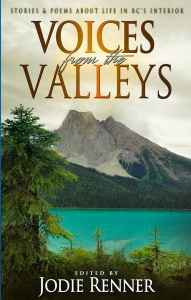 Journalist Emily Garland lands a plum assignment as the editor of a niche magazine based in Lount’s Landing, a small town named after a colorful Canadian traitor. As she interviews the local business owners for the magazine, Emily quickly learns that many people are unhappy with real estate mogul Garrett Stonehaven’s plans to convert an old schoolhouse into a mega-box store. At the top of that list is Arabella Carpenter, the outspoken owner of an antiques shop, who will do just about anything to preserve the integrity of the town’s historic Main Street. 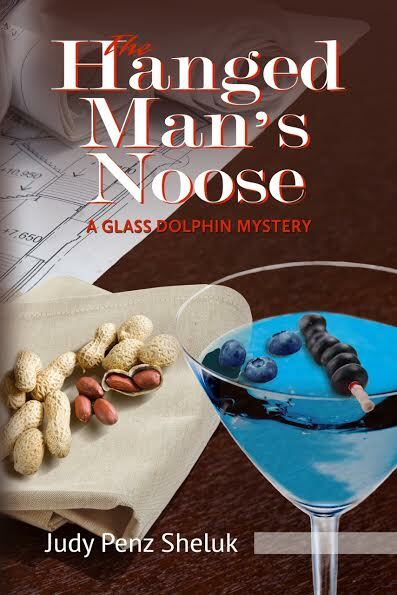 The Hanged Man’s Noose: A Glass Dolphin Mystery is available in print and eBook at all the usual suspects. Judy Penz Sheluk’s debut mystery, The Hanged Man’s Noose, was published in print and eBook in July 2015 through Barking Rain Press. Her short fiction has appeared in literary publications and anthologies, including The Whole She-Bang 2 and World Enough and Crime. She also contributed to Bake, Love Write, a dessert cookbook featuring recipes from 105 authors. In her less mysterious pursuits, Judy works as a freelance writer, specializing in art, antiques and the residential housing industry. She is currently the Editor of Home BUILDER Magazine, and the Senior Editor for New England Antiques Journal. Judy lives in a small town northwest of Toronto. She is currently finalizing Skeletons in the Closet (A Marketville Mystery) and starting book two in The Glass Dolphin Mystery series. 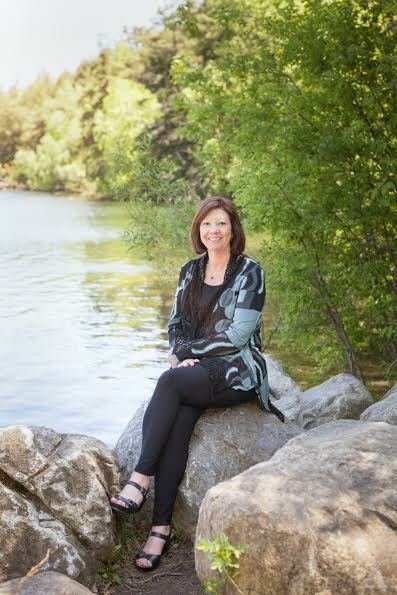 Next week on Mystery Mondays we welcome Brenda Chapman, award winning author of the Stonechild and Rouleau Mysteries. < Previous Guest Posts: Are they valuable? Thanks for hosting me, Kristina. I’m a big fan of your blog! Hi Judy, thanks for joining today. I enjoyed reading Hanged Man’s Noose, and I’m a big fan of our writing too. I found it really interesting how you came to describe your sub-genre. 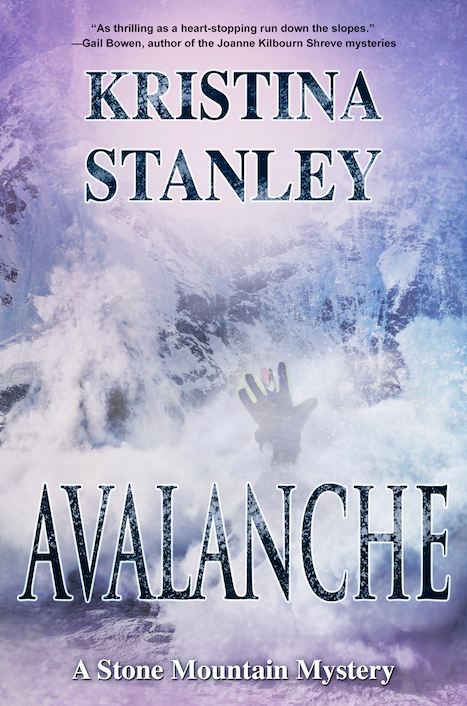 It really is an edgy cozy mystery. 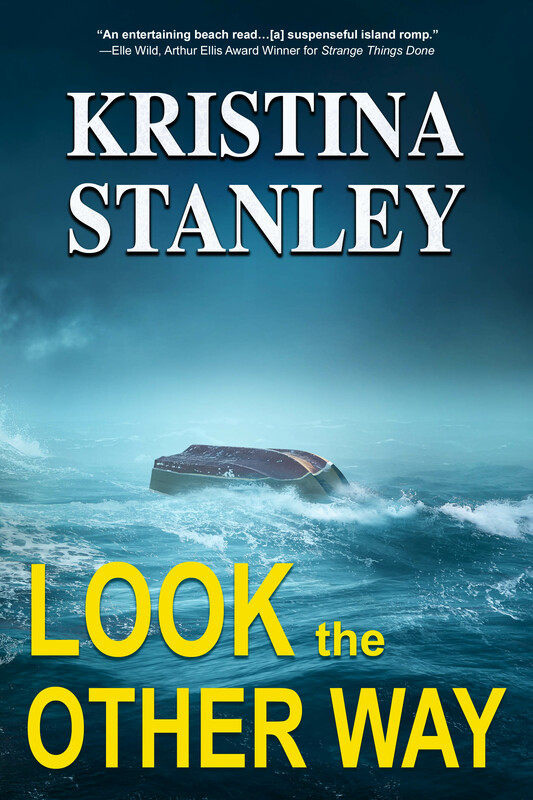 I hope that you’re following Kristina’s journey in that you’ll soon have book two out. Big fan of both your blogs and novels. Thanks Carol. So nice to have your support. Thanks Carol. I am not at the pace of Kristina. I have just finished a second book (not part of the Glass Dolphin Series) and will be submitting for publishing consideration shortly. I have just started book 2 in the Glass Dolphin series. I balance writing with working full time as a writer/editor. I like to say that it might be easier if I was a plumber — I write all day, and then I write some more! Some days, I just don’t have any words left in me! Thank you for reblog. Very kind of you. A belated comment here, but this was really interesting Judy. I also write what I thought of as amateur sleuth mysteries, but cats and dogs and teapots on the covers just wouldn’t work. I need to rethink how I tag and describe my work. Thanks for giving me something to think about! Debra, if you’re on Goodreads, add your book to Listopia — Amateur Sleuth with an Edge! I am on Goodreads, and I will, Judy. Thanks for the tip!! !